This clearance sale is available in all our branches: Gandiva Archery Center, Arrowland SM Megamall, Arrowland SM North Edsa and Gandiva Davao. We have various archery equipment on sale from May 15 – August 15, 2018! Head over to the branch nearest you and grab your items while supplies last! Cartel dynamic 30" 12" 3"
Cartel Dynamic 28" 12" 3"
Gandiva Archery has slowly seen its vision come to life. By creating different avenues to promote the sport recreationally and competitively, they were able to bring archery closer to the hearts of the Filipino people. 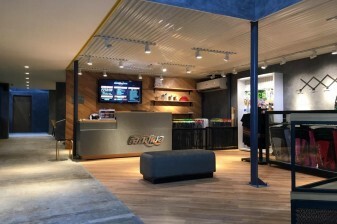 With its unparalleled success, Gandiva now wants to elevate the archery experience to a whole new level by offering a better, stronger and bolder archery center. 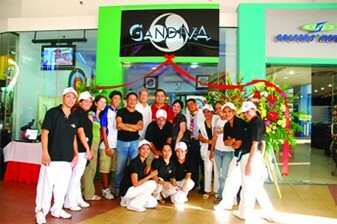 The Gandiva Archery Center is the first premier archery range in the country. Boasting of a 380-sqm facility, this newest Archery Center promises to cultivate archery skills and unleash inner archery potentials. 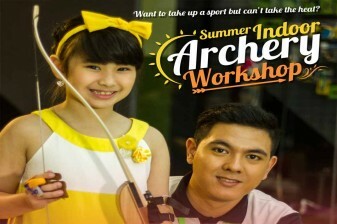 Located at the Sparta Compound in Pioneer, Mandaluyong City, it has an archery range with 12 lanes of 18meters. Originally conceptualized to cater to serious archers, Gandiva Archery Center is opening its doors to serve as a venue for archery lessons for anyone who would want to get into the sport. This archery facility was developed with features that would cater to both beginner archers and pro archers alike. The most exciting feature of the new archery center is the diagnostic area - the first of its kind in the Philippines. The Gandiva Archery Diagnostic Area is structured to measure and analyze every archery skill level. It is equipped with a chronograph that is used to measure the speed of an arrow. It is also equipped with a high speed camera that would help analyze an archer’s stance and form. Paper tuning will also be available as a way to properly tune arrows. Beside it is the 12-seater lecture room that may be utilized for archery lessons and archery seminars. The Archery Center also boasts of its amazing viewing area. Located on the second floor of the facility, this viewing area allows spectators to see through a glass window giving them a perfect view of the archery range. A complete armory service is part of the Archery Center. From minor repairs to major archery equipment upkeep, the armory will be fully-equipped to address every archer’s need. Among all these, Gandiva Archery offers membership packages, unlimited range passes, archery trials for non-members and range rentals for those with their own equipment. The Archery Center also offers a wide variety of archery equipment for sale, like bows and arrows and accessories. Equipment packages are also available to choose from. Some equipment packages even comes with its own set of arrows or inclusive of a free module program. With all these in store at the new Archery Center, Gandiva is thrilled for this game-changing move in archery experience. With this premier state-of-the-art Archery Center, Gandiva aims to continue to serve its purpose in fostering more Filipino archers. Experience archery through the better, stronger and bolder Gandiva Archery Center and unleash the better, stronger and bolder archer in you! Arrowland is a brand under Gandiva Archery which aims to make archery an enjoyable, accessible and affordable sport for everyone. With its tagline “Where Fun Is Right On Target”, Arrowland promises a one-of- a-kind experience especially for those trying out archery for the first time. Arrowland by Gandiva is backed by the best coaches with the friendliest smiles, a range facility equipped to entertain every kind of archer and equipment suited for every skill level. Boasting of its excellent service, Arrowland has seen itself expand to two branches in less than one year. Currently with branches in SM Megamall and SM North Edsa, Arrowland continues to see its vision come to life by successfully bringing archery closer to the Filipino people. Arrowland SM Megamall is the very first branch which was opened in November 2016. This branch is the perfect range for beginners with 10 lanes with a 10-meter distance each. A variety of bows are also available for every archery skill level. From barebows for beginners to mid and high-end bows for more seasoned customers. 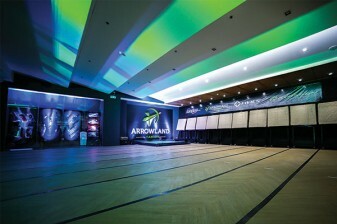 Since its opening, Arrowland SM Megamall has also accommodated a number of group bookings and in-house events. Most commonly, the range is used for corporate events like team buildings and team incentive activities. Birthday parties and other special celebrations are also some events wherein the range is rented out exclusively for a few hours.The Arrowland team can customize archery games based on the needs or theme of a client’s event. 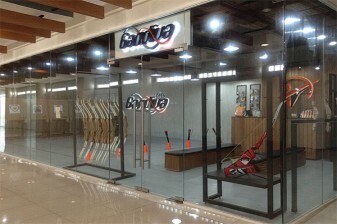 The branch also offers an array of archery equipment for sale. An armory is available to cater to any minor bow and arrow upkeep and after sales services. Arrowland SM North is the second branch which was opened last August 25. This branch is equipped to entertain every kind of archer. With a total of ten (10) lanes: six (6) lanes with a 10-meter distance and four (4) lanes with an 18-meter distance, the range could cater both beginners and experienced archers. Archery equipment for sale could also be found here as well as a small armory for minor equipment upkeep needs. The SM North branch also launched Arrowland’s newest archery-themed merchandise for sale. This includes statement shirts, golf-sized umbrellas, rash guards, car stickers, lanyards, caps, keychains and a lot more. All available merchandise could be seen on display at the store. The Arrowland SM North branch is also open for range rentals for events. Clients who book for corporate events, team buildings, birthday parties and any other special occasion may use the range exclusively for a few hours.